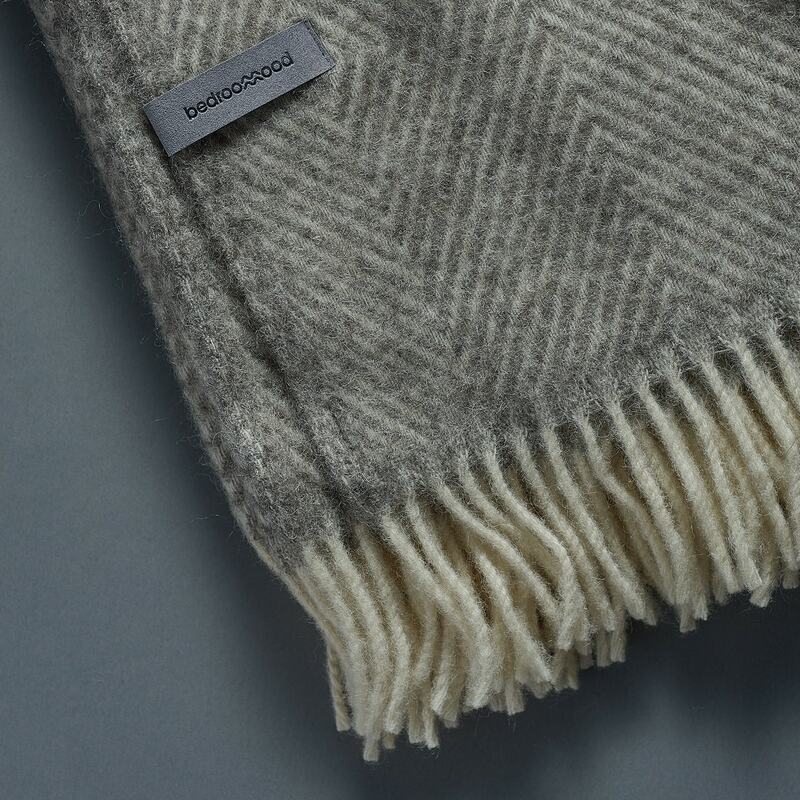 The fleece of Gotland sheep has one of the most lustrous & silky fibres in the world that wil perfectly protect you from cold. It is two-toned, diamond patterned blanket with tasseled fringe along the width. It has a fabric density of 333 g per m2. Designed in Denmark, made in Lithuania. As no chemicals were used in a process, you may still smell the sheep when you unpack your blanket ! Don't worry - the sheep smell is a proof that the blanket is all natural and this smell will go away in about a month. 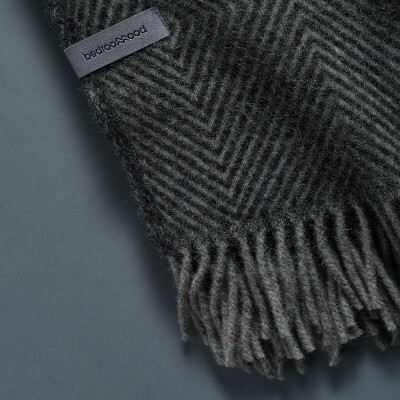 This product has a Woolmark certification.